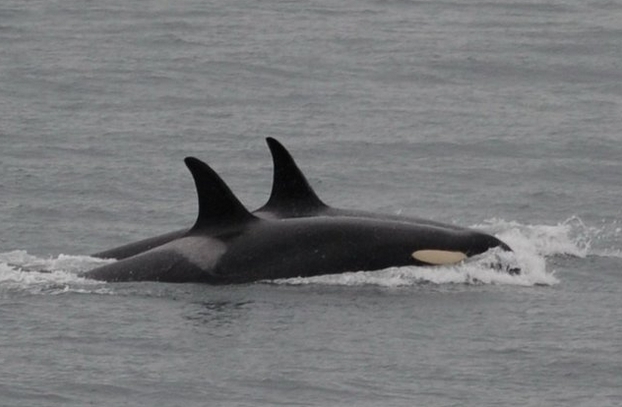 Tahlequah (foreground) is no longer carrying her dead calf, and appears to be vigorous and healthy as she swims with her pod in Haro Strait off San Juan Island on Saturday. Her ordeal of carrying her dead calf for at least 17 days and 1,000 miles is over. 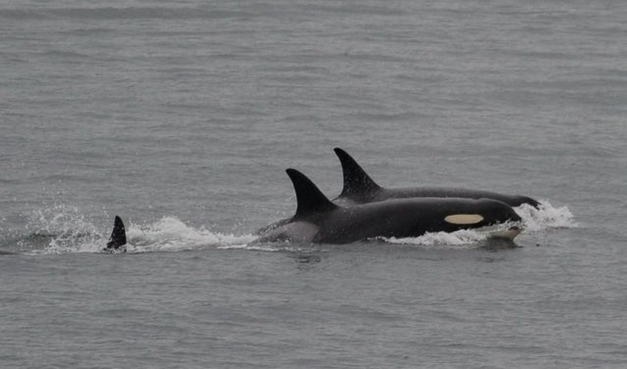 The loss of the most recent calf “may have been emotionally hard on her,” Balcomb said. “She is alive and well and at least over that part of her grief. Today was the first day that I for sure saw her. 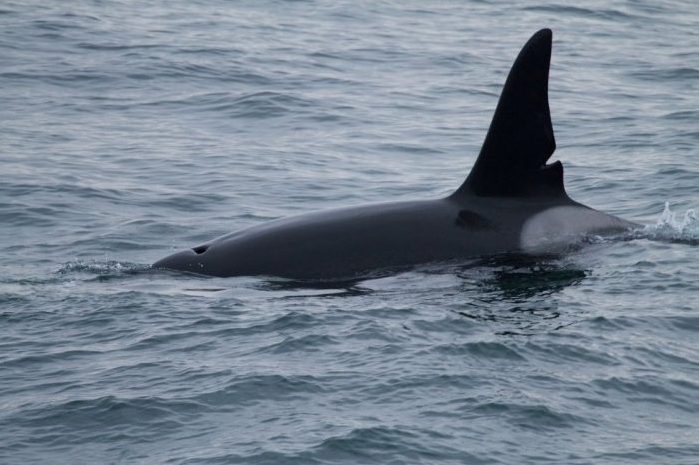 It is no longer there.” J35 showed no signs of “peanut head,” a condition that betrays malnutrition in an orca, as cranium bones begin to show. “She’s been eating,” Balcomb said. 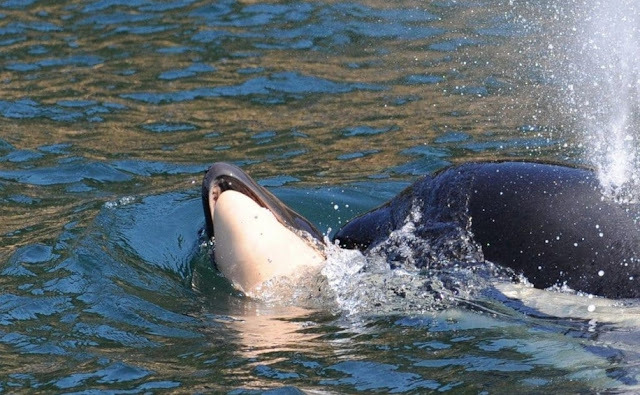 Responses to "After 17 days and 1,000 miles, mother orca Tahlequah drops her dead calf "